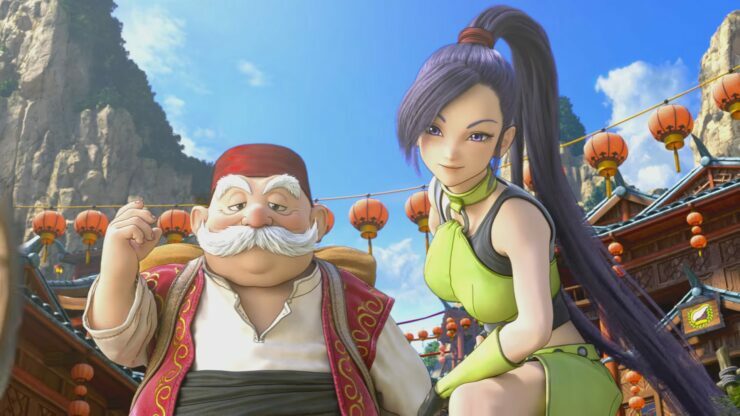 Dragon Quest XI was the first entry in the series to be released on PC and speaking to PC Gamer, franchise creator Yuji Horii said he would like to port the older games to PC as well. If Dragon Quest 11 does sell on the PC, hopefully we can bring some of the older games in the series and port them to the PC. In this day and age… when you think of where the biggest market is, at least for North America, we can say it’s for PS4 and PC, which is why we’re bringing the game to those platforms. Horii then explained why Dragon Quest was originally conceived for Nintendo’s Famicom system rather than PC. There’s no saying what could have happened if they had released on a different platform. From the very start of developing Dragon Quest, I only had the Famicom system in mind. It was the gaming device that most children were playing on. When you really look back at the state of PCs back then, they were very expensive hardware. Back then I was writing articles for Shonen Jump about PC games like Lode Runner, and oftentimes I would receive surveys or comments from readers saying ‘that looks so fun, I want to try playing it.’ But PCs were so expensive, kids couldn’t play those games. The year after the Famicom came out, and it became more accessible and a lot of children tapped into it. So that was the motivation I had in developing for that platform. Executive Producer Yuu Miyake pointed out that there actually were ports of the first two Dragon Quest games on the PC-like MSX platform. When you look at where the PC was going at that time, when Dragon Quest 1 and 2 were releasing, the PC was still selling quite well. So that’s why they decided to do an MSX port. But thereafter, in Japan at least, the Famicom became more of the main console for gaming, and the PC industry shrunk a bit, which is why presumably there wasn’t a port thereafter. Dragon Quest XI launched earlier this month for PC and PlayStation 4. Kai called it a “modern classic” in the JRPG genre.